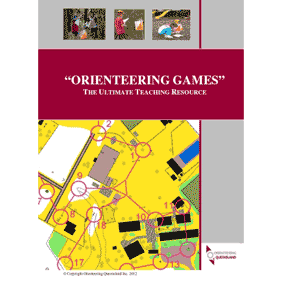 "Orienteering Games" has a fantastic variety of activities to develop navigational and orienteering skills for students from prep to senior secondary levels. Activities focus on fun games to challenge and engage students with the flexibility of individual and team options. Activities are laid out in an easy to read lesson format with diagrams to minimise your planning time. The game index makes choosing an appropriate development age and skill level activity simple. With the inclusion of more than 20 orienteering worksheet activities catering for different levels, your wet days and theory lessons are already prepared. "Orienteering Games" provides you with a whole new range of fun activity options to include and challenge different ability levels within the one game. Available in hardcopy and downloadable versions. The PDF of the book is available for $22.00 inc GST. One copy of the printed book mailed anywhere in Australia is available for $42.00 inc GST. If you need more than one copy or delivery to an address outside Australia please get in touch. Use the following links to pay for the book using your Paypal account or your credit card. If you use the PayPal app on your phone, please make sure we get your postal address. You will receive a response usually within 24 hours. If you have any questions about your order or prefer to pay in another way, please contact us.